Anti-abortion groups and lawmakers in Utah said they were acting out of concern for the fetus. 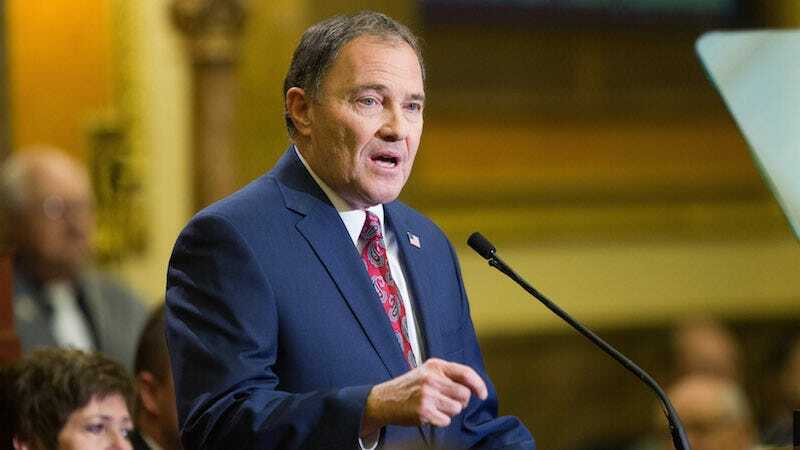 But abortion rights activists and some obstetricians and maternal care doctors in Utah said the law was bafflingly vague and scientifically unsound. They said that it intruded into confidential decisions between doctors and patients, and that it could put women’s health at risk by creating a broad requirement for them to take unspecified painkillers. Abortions at or past 20 weeks make up a very small percentage of administered procedures. Frequently, when it does happen at that stage it’s due to an untreatable problem in the fetus’ development, or lethal complications for the mother. In other words, it’s already a stressful time. As part of the law, doctors would be required to tell women that “substantial medical evidence” shows the fetus may feel pain during the abortion, even though there isn’t anything of the kind. Dr. Torres and other critics argued that the law was unworkable and made no medical sense. They said it offered no definition of what, in Utah’s view, legally constitutes a fetal anesthetic. Many women already receive anesthesia or painkillers if they have surgical abortions, and those drugs naturally pass to the fetus. Dr. Torres asked if that would be enough — if Motrin would suffice. And other doctors asked if they would have to specifically inject a fetus with an anesthetic through a woman’s abdominal wall. Indeed. Almost like it’s intended to be an insurmountable barrier to a necessary and legal medical procedure.